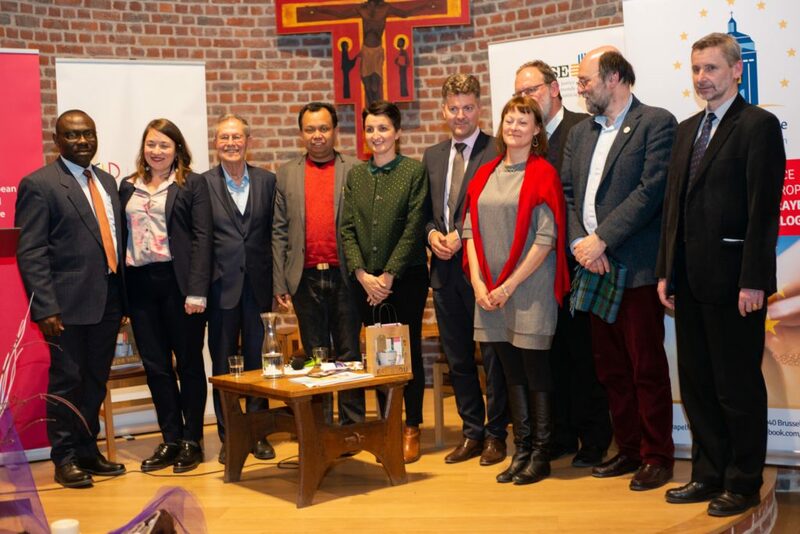 It was an innovative initiative: eight Christian social justice organizations, all based in Brussels, entered into extensive dialogue with two members of the European Parliament: Klaus Buchner from the Greens and Andreas Schwab from the European People’s Party. 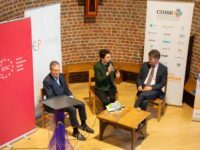 Beyond party differences, it became evident that the voice of Christians is highly relevant in the most urgent social and political challenges. 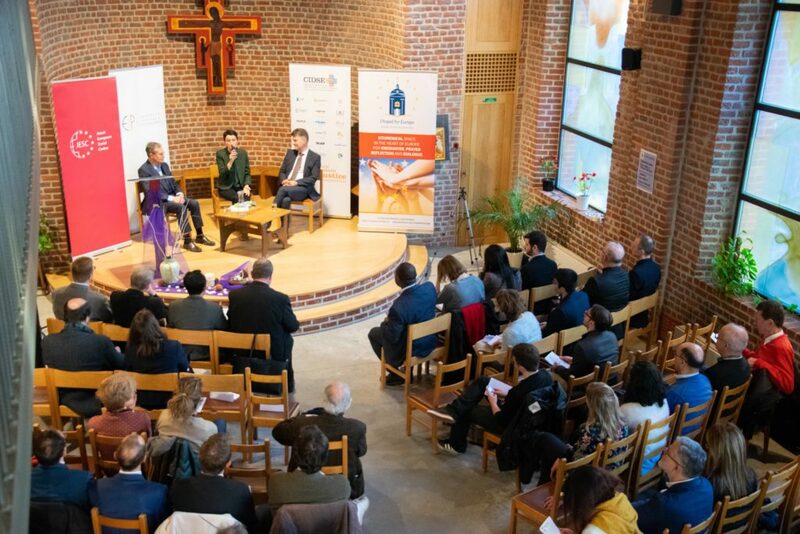 The event took place in the Chapel for Europe on April 10 and was attended by some 80 participants. 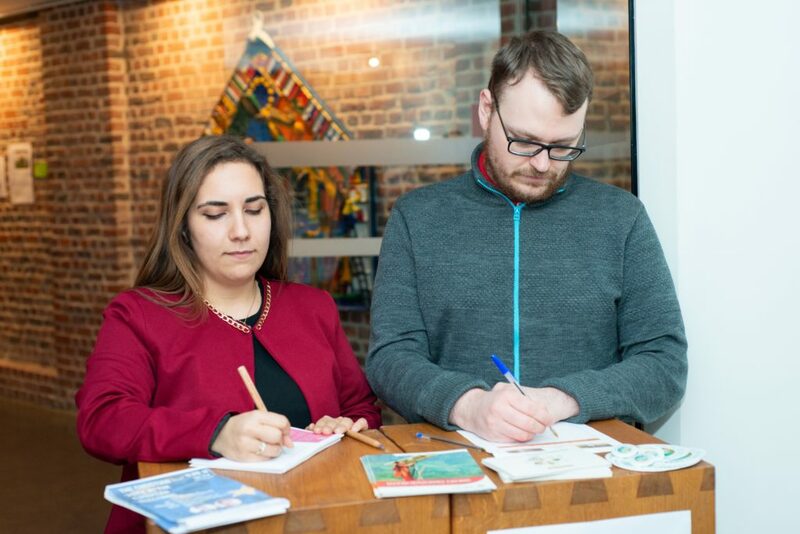 It was organized by the Chapel, the Jesuit European Social Centre (JESC), the CIDSE-Network of Catholic charities and the Commission of the EU Catholic Bishop Conferences (COMECE). 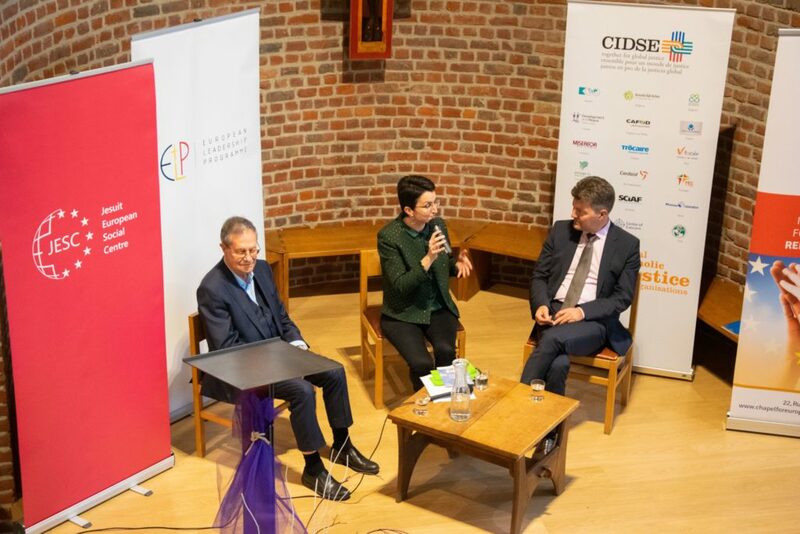 Under the experienced moderation of Chiara Martinelli a wide field of issues was covered: from youth unemployment, just trade relations with Africa, social inclusion and the refugee crisis, to climate change and the need of a change of system. An overarching theme was how Christian values can shape European politics. Klaus Buchner asked how we can sleep quietly when confronted with so many human catastrophes. He left no doubt: « We have to change our economy. » And he called for immediate action. Among his concrete proposals were to stop the mass production of meat and food speculation. For Andreas Schwab a major challenge is to keep Europe together. On the issue of systemic change, he argued that by questioning the system he will not win the next elections: “Politicians shouldn´t start with problems people do not have yet.” But to this can be objected that it is politically questionable not to take into account the rights and the interests of future generations. 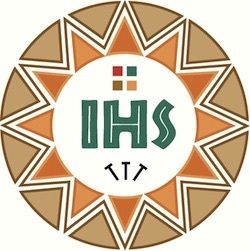 This is the perspective of Pope Francis’ encyclical Laudato Si’ which was quoted several times. Martin Maier from JESC underlined in his concluding remarks that when the Christian voices are raised jointly and ecumenically they are heard better and taken more into account. Faithful to the Gospel the Christian voice has to speak out for the voiceless which are the poor, the refugees, the marginalized. Organizers and participants agreed that this event was a promising beginning of cooperation which deserves to be continued.